White racism enforces white supremacy. White supremacy is a system of order and a way of perceiving reality. Its purpose is to keep whites on top and set them free. Colored minorities in white reality are stereotypes. Each racial stereotype comes in two models, the acceptable and the unacceptable. The hostile black stud has his acceptable counterpart in the form of Stepin Fetchit. For the savage, kill-crazy Geronimo, there is Tonto and the Hollywood version of Cochise. For the mad dog General Santa Ana there's the Cisco Kid and Pancho. 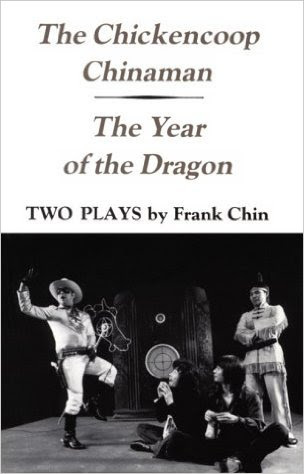 For Fu Manchu and the Yellow Peril, there is Charlie Chan and his Number One Son. The unacceptable model is unacceptable because he cannot be controlled by whites. The acceptable model is acceptable because he is tractable. There is racist hate and racist love. If the system works, the stereotypes assigned to the various races are accepted by the races themselves as reality, as fact, and racist love reigns. The minority's reaction to racist policy is acceptance and apparent satisfaction. Order is kept, the world turns without a peep from any nonwhite. One measure of the success of white racism is the silence of that race and the amount of white energy necessary to maintain or increase that silence. Likewise, the failure of white racism can be measured by the amount and kind of noise of resistance generated by the race. The truth is that all of the country's attention has been drawn to white racism's failures. Everything that has been done by whites in politics, government, and education in response to the failure of white racism, while supposedly anti-racist, can be seen as efforts to correct the flaws, redesign the instruments, and make racism work. The object is to shut up the noise. Do it fast. Do it cheap. White racism has failed with the blacks, the chicanos, the American Indians. Night riders, soldier boys on horseback, fat sheriffs, and all them goons and clowns of racism did destroy a lot of bodies, mess up some minds, and leave among these minorities a legacy of suffering that continues to this day. But they did not stamp out the consciousness of a people, destroy their cultural integrity and literacy sensibility, and produce races of people that would work to enforce white supremacy without having to be supervised or watchdogged by whites. 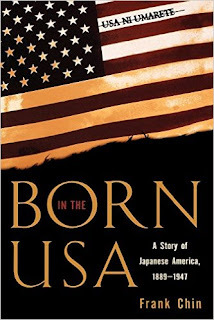 In terms of the utter lack of cultural distinction in America, the destruction of an organic sense of identity, the complete psychological and cultural subjugation of a race of people, the people of Chinese and Japanese ancestry stand out as white racism's only success. This is not to say that Asian-Americans are worse off than the other colored minorities. American policy has failed in Vietnam, yet no one would say that the Vietnamese are better off than the people of Puerto Rico, where American policy has succeeded. The secret of that success lies in the construction of the modern stereotype and the development of new policies of white racism. The general function of any racial stereotype is to establish and preserve order between different elements of society, maintain the continuity and growth of Western civilization, and enforce white supremacy with a minimum of effort, attention, and expense. The ideal racial stereotype is a low maintenance engine of white supremacy whose efficiency increases with age, as it became "authenticated" and "historically verified." The stereotype operates as a model of behavior. It conditions the mass society's perceptions and expectations. Society is conditioned to accept the given minority only within the bounds of the stereotype. The subject minority is conditioned to reciprocate by becoming the stereotype, live it, talk it, embrace it, measure group and individual worth in its terms, and believe it. The stereotype operates most efficiently and economically when the vehicle of the stereotype, the medium of its perpetuation, and the subject race to be controlled are all one. When the operation of the stereotype has reached this point, where the subject race itself embodies and perpetuates the white supremacist vision of reality, indifference to the subject race sets in among mass society. The successful operation of the stereotype results in the neutralization of the subject race as a social, creative, and cultural force. The race poses no threat to white supremacy. It is now a guardian of white supremacy, dependent on it and grateful to it. For the subject to operate efficiently as an instrument of white supremacy, he is conditioned to accept and live in a state of euphemized self-contempt. This self-contempt itself is nothing more than the subject's acceptance of white standards of objectivity, beauty, behavior, and achievement as being morally absolute, and his acknowledgment of the fact that, because he is not white, he can never fully measure up to white standards. The stereotype, within the minority group itself, then, is enforced by individual and collective self-contempt. Given: that the acceptable stereotype is the minority version of whiteness and being acceptable to whites creates no friction between the races, and given: fear of white hostility and the white threat to the survival of the subject minority, it follows that embracing the acceptable stereotype is an expedient tactic of survival, as selling out and accepting humiliation almost always are. The humiliation, this gesture of self-contempt and self-destruction, in terms of the stereotype is euphemized as being successful assimilation, adaption, and acculturation. If the source of this self-contempt is obviously generated from outside the minority, interracial hostility will inevitably result, as history has shown us in the cases of the blacks, Indians, and chicanos. The best self-contempt to condition into the minority has its sources seemingly within the minority group itself. The vehicles of this illusion are education and the publishing establishment. Only five American-born Chinese have published what can be called serious attempts at literature: Pardee Lowe has a one-book career with Father and Glorious Descendants (1943), an autobiography; Jade Snow Wong, another one- book career with the most famous Chinese-American work, Fifth Chinese Daughter(1950), an autobiography; Diana Chang, the only serious Chinese-America writer to publish more than one book-length creative work to date, has written and published four novels and is a well-known poet; Virginia Lee has one novel, The House Tai Ming Built in 1963; and Betty Lee Sung, author of the semiautobiographical Mountain of Gold (1967). Of these five, four--Pardee Lowe, Jade Snow Wong, Virginia Lee, and Betty Lee Sung -- confirm the popular stereotypes of Chinese-Americans, find Chinese-America repulsive, and don't identify with it. The construction of the stereotype began long before Jade Snow Wong, Pardee Lowe, Virginia Lee, and Betty Lee Sung were born within it and educated to fulfill it. It began with a basic difference between it and the stereotypes of the other races. The white stereotype of the Asian is unique in that it is the only racial stereotype completely devoid of manhood. Our nobility is that of an efficient housewife. At our worst we are contemptible because we are womanly, effeminate, devoid of all the traditionally masculine qualities of originality, daring, physical courage, creativity. We're neither straight talkin' or straight shootin'. 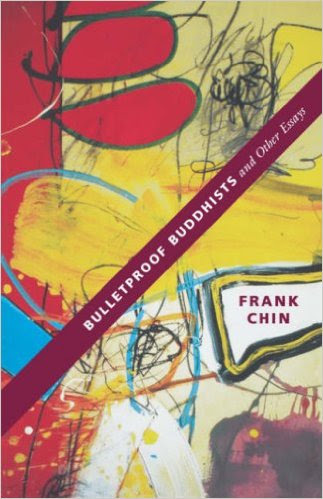 The mere fact that four of the five American-born Chinese-American writers are women reinforces this aspect of the stereotype. The Chinese as a race are, as compared with the European nations, of a phlegmatic and impassive temperament, and physically less active and energetic. Children are not fond of athletic and vigorous sports, but prefer marbles, kite-flying, and some quiet games of gall, spinning tops, etc. Men take an easy stroll for recreation, but never a rapid walk for exercise, and are seldom in a hurry or excited. They are characteristically timid and docile... While the Chinese are deficient in active courage and daring, they are not passive in resistance. They are comparatively apathetic as regards to pain and death, and have great powers of physical endurance as well as great persistency and obstinacy. On an average a Chinese tailor will work on his bench or a literary man over books with his pen, more hours a day than our race can. The Chinese in the parlance of the Bible, were raw material for the "flock," pathological sheep for the shepherd. The adjectives applied to the Chinese ring with scriptural imagery. We are meek, timid, passive, docile, industrious. We have the patience of Job. We are humble. A race without sinful manhood, born to mortify our flesh. Religion has been used to subjugate the blacks, chicanos, and Indians along with guns and whips. The difference between these groups and the Chinese was that the Christians, taking Chinese hospitality for timidity and docility, weren't afraid of us as they were of other races. They loved us, protected us. Love conquered. It's well-known that the cloying overwhelming love of a protective, coddling mother produces an emotionally stunted, dependant child. This is the Christian love, the bigoted love that has imprisoned the Chinese-American sensibility; whereas overt and prolonged expressions of hatred had the effect of liberating black, red, chicano, and to some degree, Japanese-American sensibilities. The hatred of whites freed them to return hate with hate and develop their own brigand languages, cultures, and sensibilities, all of which have at their roots an assumed arrogance in the face of white standards, and defiant mockery of the white institutions, including white religion. One of the products of these cultures born of overt racist hatred was a word in the language for white man, a name loaded with hate. 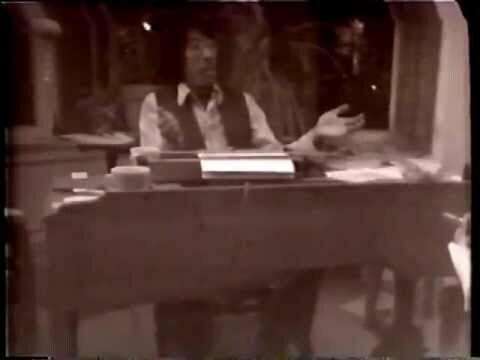 A white man knows where he stands when a chicano called him "gringo," or a black man called him "honky," "Mr. Charlie," "ofay," "whitey," or an Indian calls him "paleface." Whites aren't aware of the names Chinese-Americans and Japanese-Americans have for them. And it's not a little embarrassing for an Asian-American to be asked by a curious white what we might call him behind his back. The first Chinese were sojourners to America. They arrived in a state of humiliation as indentured servants, coolie laborers to California to perform the labor of slaves, which were outlawed in this free state. They never intended to settle here. The whites encouraged them with overt white racism and legislative racism to leave as soon as they could. The first Chinese so loathed this country that they regularly burned all their letters and records of their stay, journals and diaries, and tossed the ashes into the sea in the hope that at least much of themselves would make it back to China. 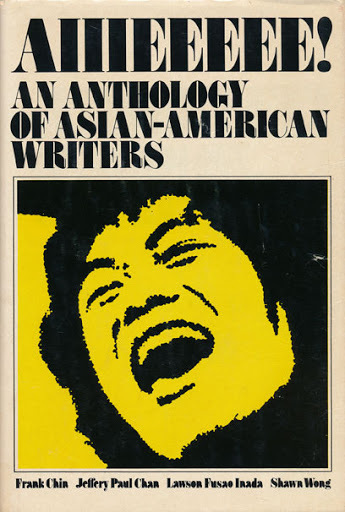 As a consequence of their total self-contempt, Chinese- America has no literary legacy. Of the Chinese who stayed not one complete account of one Chinese man's life in California, in diary, in journal, or in the form of correspondence, survives. Nor is there any oral history. All that survives from those old men is the humiliation of being foreign. If life here was something to be erased from memory, death here was the ultimate humiliation. They were contemptible in life on American soil. Life they could endure. But death, no. So the practice of returning the bones to China for burial in hospitable ground, an eloquent and final expression of their loathing of America released after death, which the whites regarded as quaint and heathenish. Legislative racism, the only form that openly survives, was invented to cope with the Chinese specifically and the first applied against them with success. Legislative racism culminated in the passage of The Chinese Exclusion Act by the U.S. Congress, giving the Chinese the distinction of being the only race to be legislated against by name. The racist policy applied against the blacks defined them as nonhumans, as property without legal status. This resulted in political schisms among the white majority and contributed to a costly war, thus failing as an instrument of white supremacy. It also failed to control the blacks and condition them into white supremacist self-control. The policy of extermination and incarceration applied against the American Indian was another costly failure. 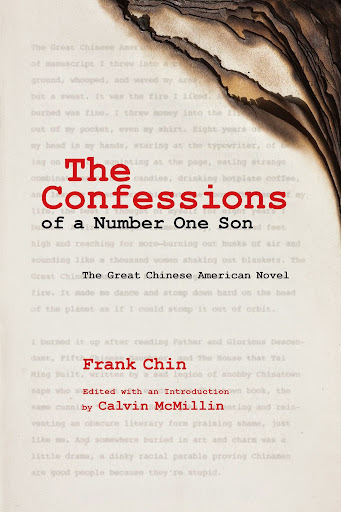 For the Chinese, they invented an instrument of racist policy that was a work of pure genius, in that it was not an overtly hostile expression of anti-Chinese sentiment, yet still reinforced the stereotype and generated self-contempt and humiliation among generations of Chinese and Chinese-Americans, who, after having been conditioned into internalizing the white supremacist Gospel of Christian missionaries, looked on themselves as failures, instead of victims of racism. This wondrous instrument was the law. They gave the Chinese legal status, access to the protection under the law as "aliens ineligible for citizenship." We were separate but equal under the supposedly blind impartiality of the law. Legally we were masters of our own destiny, limited only by our intelligence and talent. The game was rigged. The Chinese were forced into Chinatown and out of American culture and society by laws supposedly designed to protect fish, secure safety against fire, and protect public health. One law stated that only "aliens ineligible for citizenship" of the laboring class would be admitted into the country. A fancy way of saying only men, no women. this law was designed to control the Chinese population. It discouraged Chinese from staying by denying them access to their women, underscored the state of their (supposedly voluntary) humiliation in America, and guaranteed that even should all the Chinese stay they would not reproduce. And eventually they would die out. This law worked. At the turn of the century the ratio of men to women was 27 to 1. Then a little after the turn of the century the Chinese population took a sudden decline. White historians like to say that suddenly a lot of us went home to China. We didn't, but our bones did, six months after we died here. This law was doubly successful in that it contributed to the myth of Chinese-American juvenile decency and thus added to the effeminization of the racial stereotype. According to this myth, the reason juvenile delinquency stayed so low in Chinatown until the last twenty years was that maintenance of the strong Chinese family. 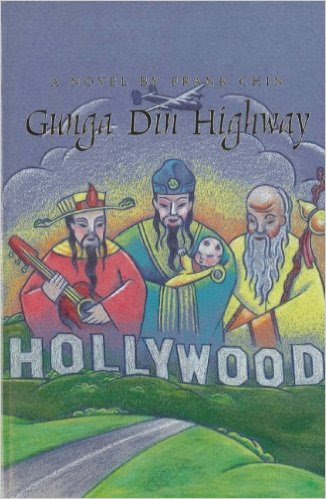 Nothing less than Confucianist Chinese culture was making law-abiding citizens of us. The reason there was no juvenile delinquency in Chinatown has less to do with Confucian mumbo jumbo than with the law against the birth of Chinese kids. There were no juveniles to be delinquent. What holds all this self-contempt together and makes it work is "The Concept of the Dual Personality." The so-called "blending of East and West" divides the Chinese-American into two incompatible segments: (1) the foreigner whose status is dependent on his ability to be accepted by the white natives; and (2) the handicapped native who is taught that identification with his foreignness is the only way to "justify" his difference in skin color. The argument goes, "If you ain't got Chinese culture, baby, all you got's the color of your skin," as if to say skin color were not a culture force in this country. The privileged foreigner is the assimilable alien. The assimilable alien is posed as an exemplary minority against the bad example of the blacks. Thus the privileged foreigner is trained to respond to the black not the white majority as the single most potent threat to his status. The handicapped native is neither black nor white in a black and white world. In his native American culture he has no recognized style of manhood, in a society where a manly style is prerequisite to respectability and notice. His pride is derived from the degree of his acceptance by the race of his choice at being consciously one thing and not the other. Black, white, chicano, or a museum of Chinese culture. In his use of language, voice inflection, accent, walk, manner of dress, and combing his hair, the handicapped native steeps himself in self- contempt for being "quick to learn... and imitative." At worst, he's a counterfeit begging currency. At best he's an "Americanized Chinese," someone who's been given a treatment to make him less foreign.